I have a great idea for a new drinking game. 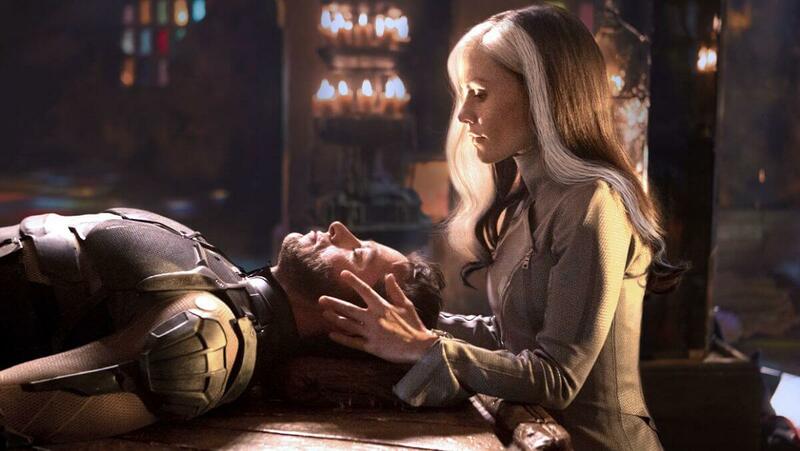 Every time you spot a difference from the original X-Men: Days of Future Past to the new Rogue cut, take a shot! With 30 more minutes of footage you will surely be drunk! I have a great idea for a new drinking game. Every time you spot a difference from the original X-Men: Days of Future Past to the new Rogue cut, take a shot! With 30 more minutes of footage you will surely be drunk long before Magneto (Michael Fassbender; Inglourious Basterds) shoots Mystique (Jennifer Lawrence; The Hunger Games) in the leg. Some of the changes are as subtle as an added line or a character's glance while others are entirely new scenes that have been added including about 10 minutes of Rogue (Anna Paquin, True Blood) footage. However, the real question is does this new version make shelling out another $15 worth it. I suppose that depends on how much of an X-Men fan you are. While the Rogue scenes are enjoyable, and it is nice to see her back in the film, some of the other additions didn't add much for me. Iceman's (Shawn Ashmore; The Following) alternate death scene was an interesting plot twist, which I liked more than the original version, but Beast's (Nicholas Hoult; Mad Max: Fury Road) added scene didn't really enhance his character any . It did allude to a romance between Mystique and Beast but I always preferred the sexual tension between Mystique and the Professor (James McAvoy; Wanted) anyway. The new scenes don't change the plot at all, even with the addition of Rogue. We still see Wolverine (Hugh Jackman; Les Miserables) traveling back to the 70's to stop Mystique from murdering Dr. Trask (Peter Dinklage; Game of Thrones) and avoiding setting off a chain reaction that would eventually see most of the mutants murdered in the future. We still get what, I think, are some of the best parts of them movie, which are Quicksilver's (Evan Peters; American Horror Story: Freak Show) scenes. The 1080p video is fantastic and accents the characters' features, especially in their mutant forms. Mystique's blue hues are sharp and vibrant and watching her shift from human to mutant is a pleasure to watch. The DTS-HD Master Audio 7.1 adds another layer to the film, which makes it even more enjoyable and exciting. When the sentinels attack, every weapon becomes larger than life because of the clear audio track. The extras include some interesting commentary from Director Bryan Singer (The Usual Suspects, Superman Returns) and John Ottman (Kiss Kiss Bang Bang, Superman Returns), a 30 minute sit down with members of the cast and crew, and a Fantastic Four sneak peek lasting under two minutes. In the end, for me, the extras were the real draw of this new cut because while it was nice to see some added scenes, the original movie didn't suffer without them. 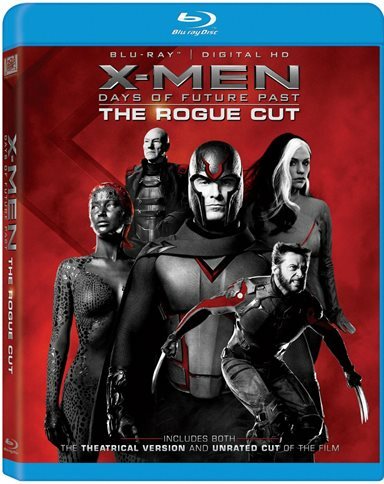 All in all, if you are a true X-MEN fan, the few dollars extra it will cost you to add this version to your collection is worth it but if you a someone who just likes the movie, you will still like it just as much without the Rogue cut. Grade A- for the original film and added extras. Download X-Men: Days of Future Past (The Rogue Cut) from the iTunes Store in Digial HD.